Hybrid photography users will appreciate the ease with which they can use the Sound Shark with their lavalier microphone. This allows for recording multiple subjects with a single Sound Shark microphone. The versatile directionality of the Sound Shark parabolic microphone also greatly reduces, and sometimes completely eliminates, background noise. These attributes make the Sound Shark an excellent choice as a microphone for hybrid photography. The long-range recording capabilities of the Sound Shark enable you to record subjects from significant distances. There’s also no need to worry about hiding a microphone on your subject when conducting an interview. 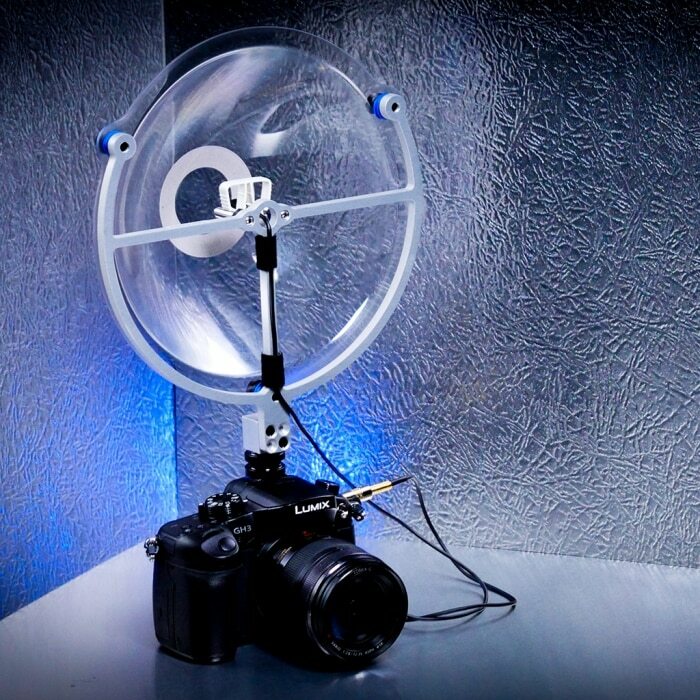 Hybrid photographers can connect a lavaliere microphone directly to their camera and eliminate the need for an external mixer. Use the Sound Shark anywhere within range of your wireless lavalier and instantly have the freedom to be more creative. The Sound Shark microphone lets you avoid those awkward pre-interview moments when you would normally have to ask a CEO to run a mic cable down his shirt or through her clothing. Check out this sample video to hear for yourself! Nature photographer Marco Valk used a Lumix GH5 and a Soundshark parabolic microphone (Premium kit) to capture this video of screaming bald eagles. He estimated the distance to be 200+ meters but the audio delay indicates the distance may actually be much greater. The effective focal length was 1960mm. In his words “Impressive sound! (straight from the camera)”. The first thing Mr. Valk mentioned, upon receiving his Sound Shark in the Netherlands, was how much it reduced his wind noise. Check out Marco’s Facebook page, his Youtube channel, and his gallery. Are you using a Sound Shark in a unique way for your Hybrid Photography projects? Share your story with us and we will send you a Sound Shark T-shirt!